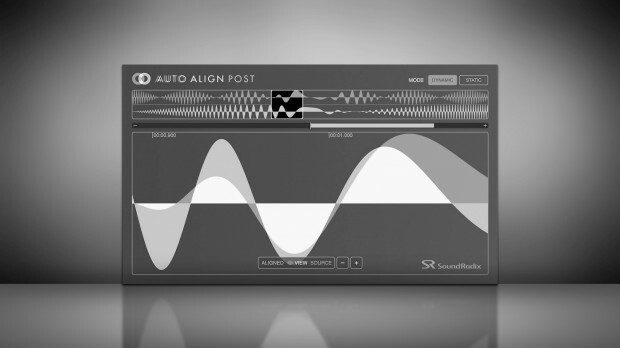 Released in August 2018, Auto-Align Post is a plug-in designed to automatically correct phase issues when mixing a recording of multiple moving microphones, such as in the case of a shot set-up using a boom microphone in addition to actor’s lavalier microphone. Drawing on requests from post-production professionals, Sound Radix has announced upcoming new features for version 1.1. The expected release is Q4 2018, and it will be a free update for existing owners of Auto-Align Post. Minor graphics and bug fixes and optimizations. This entry was posted in DontCrack, Event, Plug-ins and tagged ADR, ADR Editing, Auto-Align Post, Dub, Post Production, Sound Design, Sound Radix. Bookmark the permalink.